One prominent example of the quality and effectiveness of a Thermit TRACKBOND Ballast Bonding can be seen within the Dawlish area. 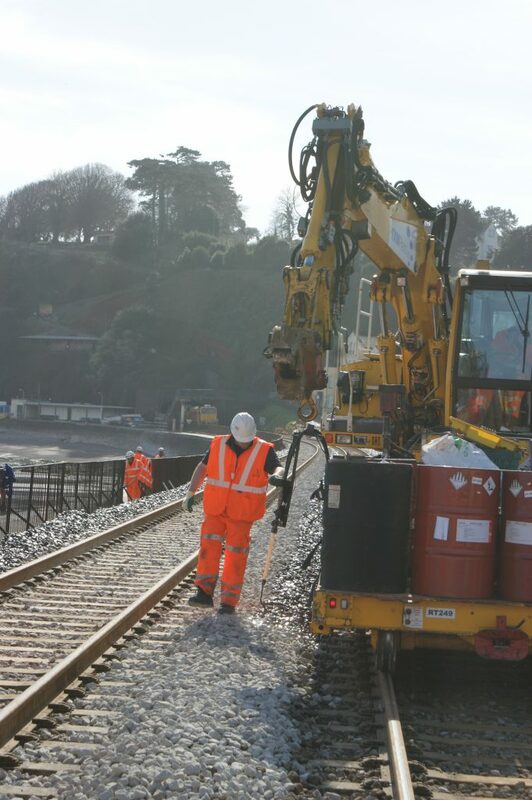 Over the 4th and 5th of February 2014 harsh storms and strong winds severely damaged the track in the Dawlish station area. 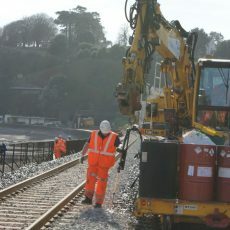 This led to a washing away of the sea wall, covering 80 metres of track, with areas damaged including Dawlish station and sections of the coastal path and esplanade. In the aftermath of the damage, an inspection of the site indicated that an area on the esplanade, previously ballast bonded by Thermit, in 1997, was the only ballast section that had withstood the harsh weather conditions. Following this inspection, Network Rail requested that Thermit bond the entire ballasted area on the esplanade and through the station, leaving small areas either side of the rails to allow for maintenance tamping.